I have a lot of styling tools. It's handy to be able to offer every kind of curl or wave. Remington have always been a brand in my kit bag, from their hairdryers, to straighteners. The Silk Waving Wand is a serious contender thanks to its ability to create waves and curls easily and that stay put. With the Silk Waving Wand, I don't really section hair, preferring to take chunks vertically and twist round the wand. I then wait for hair to cool, and rake through with my fingers. Finish with a bit of hairspray and that's it. The waves stayed put for a night out, a shift at work and a trip to Milton Keynes shopping. Not bad eh! I was also really impressed with how easy it was to use the wand. The tip at the end is big enough to hold without burning your fingers (although a heat glove is provided) and the elliptical barrel of the tong is smooth which means no snags and catching hair. The temperature ranges from 120-220 degrees, so you can personalise to suit hair type, the digital display is easy to use, although the placement means I sometimes hit the heat up or down one when waving. 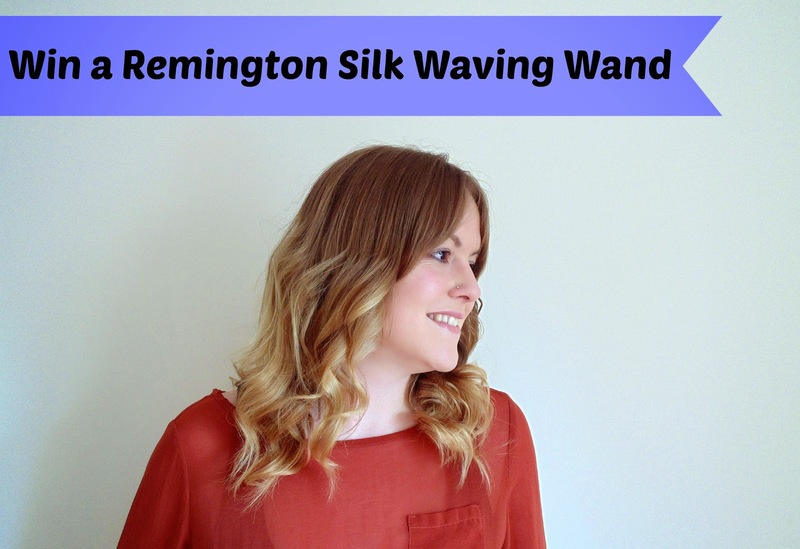 And luckily for you lovely people, Remington have kindly offered the chance for ten of you to win one of the Silk Waving Wands each. Enter below, and Good Luck! Amazing giveaway lovely! My current hair crush is Blak Lively- total perfection! The curls are absolutely gorgeous! Katy Perry's pin up do's! I love the Kate Middletons hair, always looks perfect!